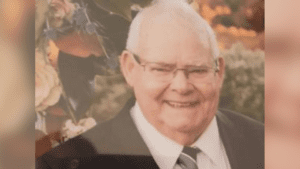 Police are seeking the help of the public to locate a man missing from Port Stephens. Barry Greentree was last seen at his home on Sailfish Street at Corlette at around 11 o’clock last Thursday morning. It’s believed the 90-year-old could be headed for Tamworth or Casino in a blue Hyundai sedan with NSW registration BSF-74H. He’s described as being of Caucasian appearance with a solid build, around 160cm to 165cm tall, with grey hair and blue eyes.